Nasi Lemak ….. one of the favorite food in Malaysia for breakfast. I came across a few much talk about best nasi lemak around KL and PJ area. Notable nasi lemak seller like Nasi Lemak Antarabangsa at Kampung Baru and Village Park at Damansara Uptown were slightly over rated. I grow up with Nasi lemak since I was having a neighbour who is a nasi lemak seller. Everyday just go next door and tar pau. I miss those days. Nasi lemak doesn’t need to be fancy and just need to have the basic condiments like hard boil egg, deep fried crunchy anchovies, fresh cut cucumber and sambal. That’s it. Over the year more and more dish were added to the nasi lemak like beef, cockles, squids and fried eggs. Too many things add on will make it like a full main course. Nasi lemak is meant to be light weight to start your day. 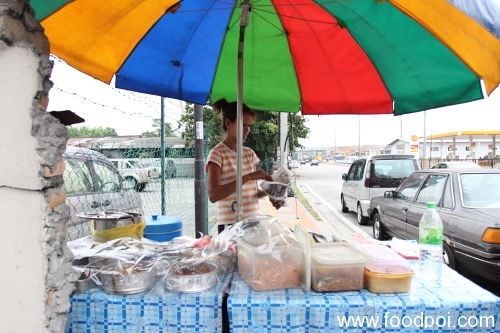 My favorite Nasi Lemak stall is located in front of HSBC Bank along Jalan Ipoh. This stall has 3 branches but I will tell you 2 which is more easy to find. 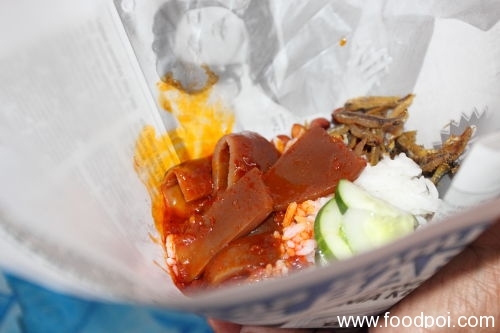 The nasi lemak carry a strong aroma when you unpack them and imagine the whole pantry were able to smell it. I always get curse for not tar pau for my colleague last time. I usually buy it when I feel like it cause I am staying nearby last time. Now no more. It is damn far for me now to go eat this stall. I like my pack of nasi lemak to be simple with lots of sambal. I usually have 3 scoops of it. The rice were just right without too much of coconut milk and come with ginger and pandan leaf fragrant. The stall starts at 7am and sold out before 9am. Off On Sunday. still rmbr that one in a million shot of the lady smiling away. 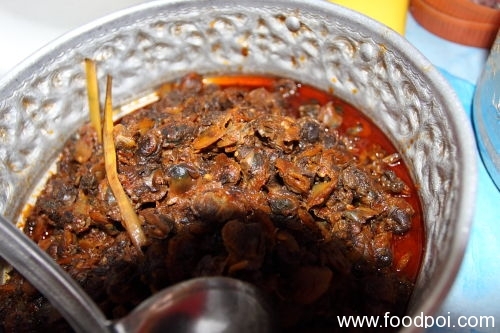 .-= J2Kfm´s last blog ..Once Upon A Time … in Bangkok – Traditional Thai Food =-. The nasi lemak seems really ‘berlemak’ especially almost all the lauk are in the pool of oil. 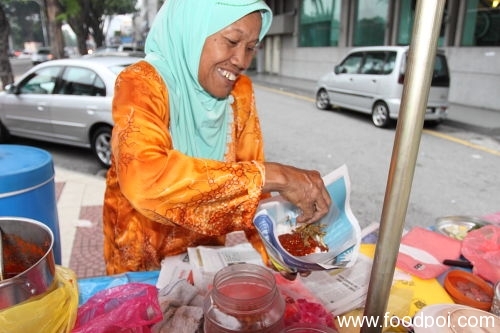 The lady with with million smiles using her bare hand to pack the nasi lemaks. She have no choice to use hand cause I ask her tambah my bilis till she have to clip like 5 to 6 times for the bilis. Then I said makcik tangan angkat lagi cepat la …. hahahaha …… i love their ikan bilis … so crunchy and fine quality type. not those cheapo mamak one with dirt and bones. This is simply delicious! 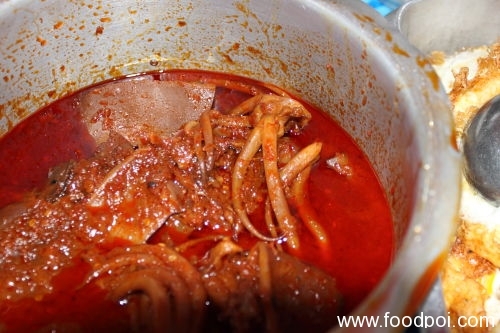 I’m drooling over the sambal sotong and the sambal gravy. .-= Little Inbox´s last blog ..Chicken & Cheese Paratha Wraps =-. That is their best selling ! Its been a while since I had nasi lemak for breakfast. I would be looking for a packet soon after drooling over your photos. .-= ck lam´s last blog ..Bee Won Korean Traditional Restaurant, Hotel Royal Penang =-. You can hop over to weld quay food court for the banana leaf one. That is my fav! .-= Big Boys Oven´s last blog ..Baking at Anna’s Culinary Singapore =-. I used to study at Chong Hwa, how come I don’t know about this?! 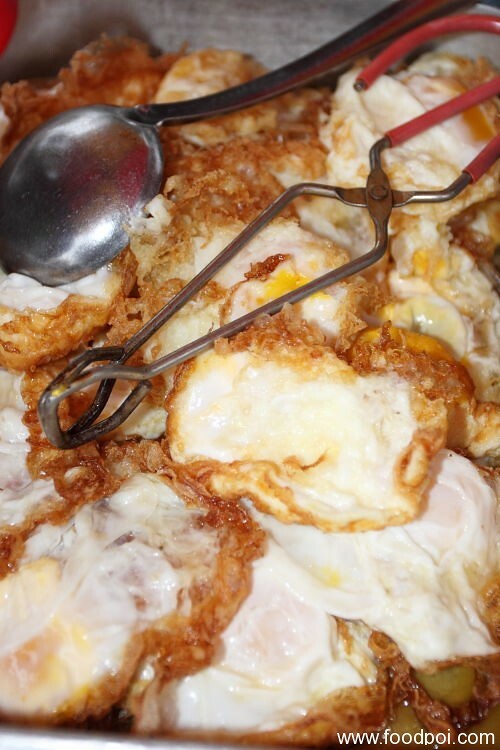 .-= Pigpigscorner´s last blog ..Fragrant Butter Chicken =-. They sell her long time already from mom to daughter. 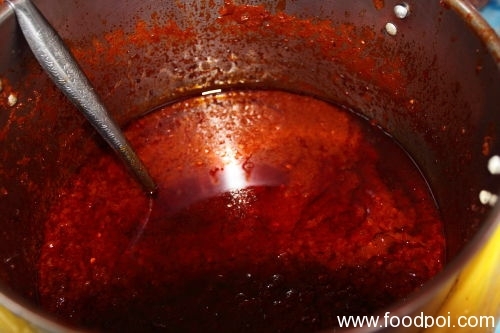 .-= iamthewitch´s last blog ..The making of… Vegetarian mooncake =-. most great nasi lemak are food side stall ya! that’s really authentic one! .-= SimpleGirl´s last blog ..100 Yen@Ipoh =-. ooo… u reminded me to have nasi lemak tonight! hehe..
.-= Christine´s last blog ..Dessert’s Bar @ Casa Tropicana, PJ =-. Wah! any good one to recommend beside selera 223? It’s in front of HSBC or Mutiara Jalan Ipoh? .-= mimid3vils´s last blog ..Niji Sushi =-. HSBC and Mutiara both selling same thing. 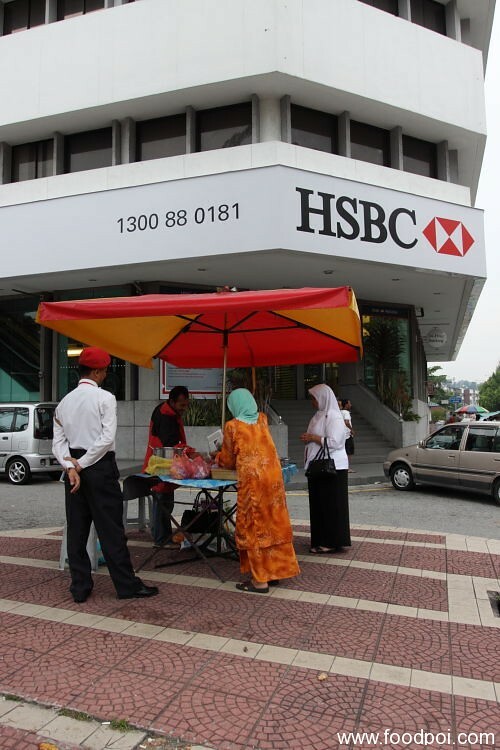 HSBC = mother ….. Mutiara Daughter …. 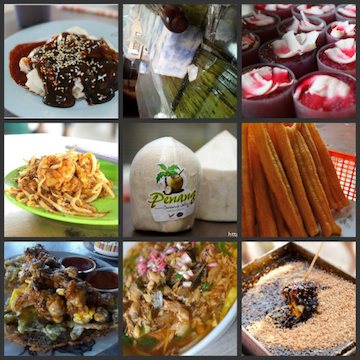 .-= FoOd PaRaDiSe´s last blog ..Join the "I Love Malaysia" Campaign and win iPhone 3GS =-. .-= xin´s last blog ..Come watch The Ugly Truth screening with me! =-. .-= thenomadGourmand´s last blog ..Dinner at The Pink Sage =-. Nasi lemak for breakfast la ….. not lunch leh …. wah…so early eat with the fiery sambal..i sure lau sai! .-= taufulou´s last blog ..Xenri D’Garden Terrace @ Menara Hap Seng =-. 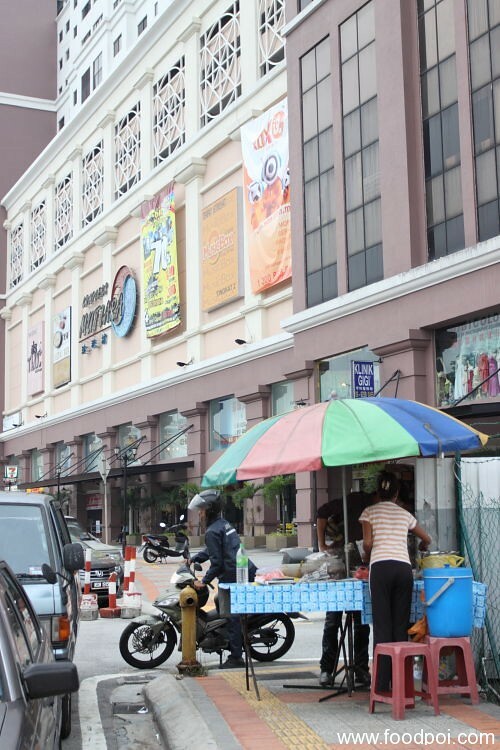 Aiyoh abang … manyak jauh to go try this favorite nasi lemak place of yours. 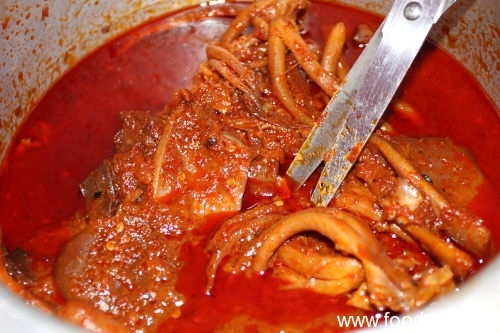 Nevertheless, the stomach will bring the legs …. Thanks buddy. .-= Timothy Low´s last blog ..Din Tai Fung =-. Good food not near ler …..
.-= christock´s last blog ..The Day I got Pwned =-. .-= food-4tots´s last blog ..Power-packed oat bars =-. Nasi Lemak must try the authentic malay home cook one only nice. wow! I love nasi lemak! 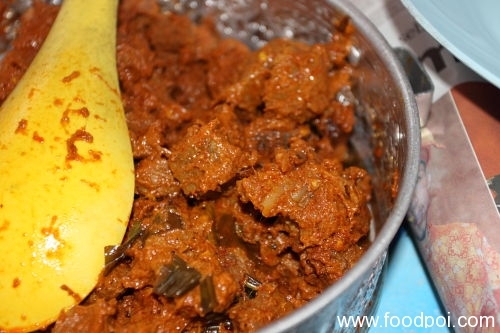 I’m so hungry looking at those sambal now! .-= Christine´s last blog ..?????? Taste Good Restaurant @ Bandar Puteri Puchong =-. That one night one I know. Under the tree one right? I tried the nasi lemek infront of HSBC and also the one at the side of HSBC building next to the uncle who sells great chinese tong sui! The Paciks nasi lemak was memorable to me. Great kick and worth a try. I actually preferred Paciks nasi lemak. Wow.. the food really looks good!! As u mentioned, Nasi Lemak from Village Park at Damansara Uptown slightly over rated.. agreed! and super expensive!!! .-= Ninehitz´s last blog ..????? ?, Asli Makanan Laut Mutiara Biru @Johor Bahru =-.